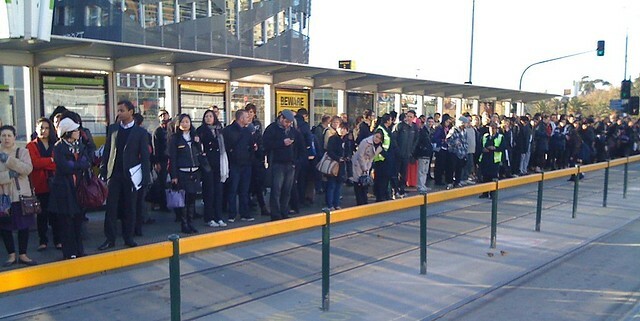 Overcrowding on St Kilda Road trams has long been a problem, and doesn’t seem to be improving. Crowds like this now often spill out of the southbound superstop during the morning peak. More and longer trams would help, but so would better tram priority along the route, to speed up trams and cut delays, and to ensure we get the most services possible out of the tram fleet we have.